Biologic therapies for severe psoriasis are currently prescribed in a manner that is neither efficient nor cost-effective. There is an unmet need to rationalise and optimise current and future biologic therapies for psoriasis in a cost-effective and minimally-dosed manner. 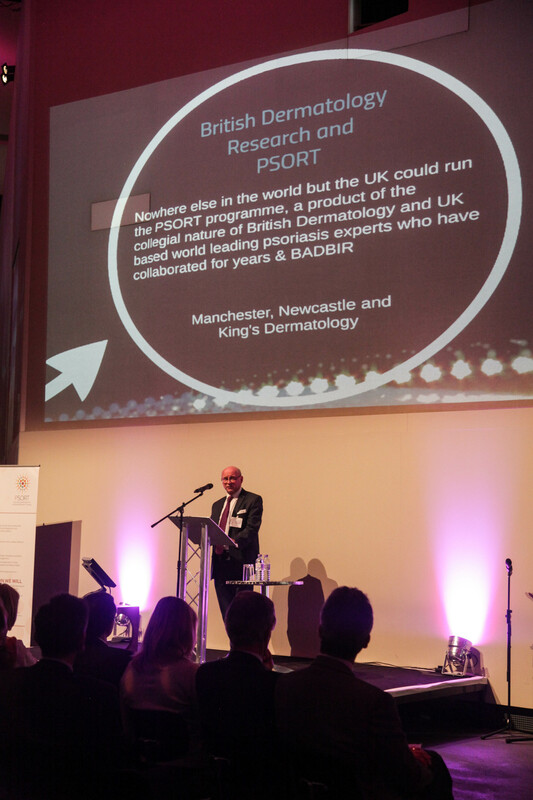 The vision of the PSORT consortium is to better understand determinants of response to biologic therapies. In collaboration with our partners from industry, we will develop a clinical test to predict response and thereby rationalise and optimise patient care in a cost-effective manner. PSORT aims to understand the heterogeneity of psoriasis (psoriasis endotype) and patient responses to biologic therapy (drug endotype). This requires the collection of longitudinal outcome data and samples on large numbers of patients receiving biologics (achievable through BADBIR Bioresource), prospective recruitment of deeply phenotyped discovery and refinement cohorts, coupled with state-of-the-art clinical and laboratory based investigation and sufficient bioinformatic and statistical power to interrogate the multi-dimensional datasets that will be generated. PSORT aims to use existing knowledge about the condition, an unparalleled patient base coupled with the involvement of patient organisations, and state-of -the-art investigative tools, to develop clinical tests to help direct personalised treatments. If we could predict which patients will do well with a particular biologic drug, then we could devise new treatment plans that would be personalised for each patient – rather than the current system of “trial and error” prescribing. This would be of added benefit to society as a whole since it could result in significant cost savings to the NHS and aid the pharmaceutical industry in the development of new drugs. A copy of the PSORT TECHNICAL SUMMARY is available to download here.